Young people tend to be on the cutting edge of change and most new tech products are marketed to them. But to really understand Empower glasses, you need to be at least middle-aged. That's because these digital lenses solve a real problem for people with bifocals or progressive lenses. The way progressive lenses work, for those of you whippersnappers who don't need to use them, is that the lens is divided into three sections. The top is focused for long distance vision, helpful for driving or seeing a landscape. The middle is for middle distance work, like on a computer screen. And the bottom is for looking at close up objects like books. That arrangement is great in that it keeps people with old eyes from having to continually switch from one set of glasses to another. But it also poses a problem -- when you look down at the ground, it may look fuzzy or distorted because you're using the bottom portion of the glasses designed for close vision to view something 5 or 6 feet away. With Empower glasses, you can toggle the reading focus on and off. Touch the temple and the whole middle and bottom of the lens is focused on middle distance viewing, making hiking along uneven ground much easier. Touch the temple again and the bottom portion of the lens toggles back to reading focus. Even better: When you turn on the reading focus, that section of the lens is larger than it normally is with traditional progressive lenses. That makes reading easier because you don't have to hold the book and your head in just one way to get optimal vision. How does it work: The lenses include a layer of liquid crystals that you can turn on and off with an electric charge. One charge of the glasses lasts 2-3 days. You can either trigger the change manually each time or turn on an automatic mode that changes the focus based on movements of your head. The glasses are available at about 1500 optometrists around the country. 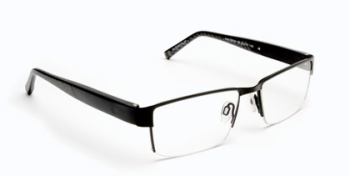 They cost about $1200, including frames and protective coatings. That's obscenely expensive, but not much more than the obscenely expensive prices for traditional progressive lenses.